5 photographers (Brent Bergherm, Jeff Harmon, Connor Hibbs, Erica Kay, Brian McGuckin) take turns covering listener questions, photography news, and the famous photography “doodads” of the week with each round table discussion episode. This is the podcast for enthusiast and professional photography nerds who want to level up and master their photography–without the fluff of a “talk show.” The team has a special skill for covering advanced level photography techniques in a way that less experienced photographers can understand. They don’t talk down to newer photographers yet provide tips that help advanced photographers. Come join us as we all work to master our photography together! The post Master Print Course and Screen Calibration appeared first on Master Photography Podcast. The post MagMod and 17 Lighting Setups with Trevor Dayley appeared first on Master Photography Podcast. The post LIVE From the Create Photography Retreat! appeared first on Master Photography Podcast. 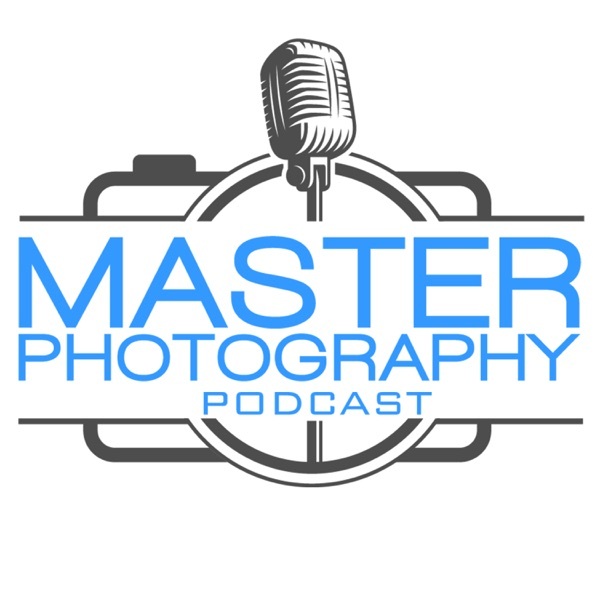 The post Round-a-bout the art and more appeared first on Master Photography Podcast. The post Tips For Getting the Most From Photography Conferences and Workshops appeared first on Master Photography Podcast. The post RAISE by Canon and the YN450 appeared first on Master Photography Podcast. The post Saved By Features and Super Powers appeared first on Master Photography Podcast. The post Canon EOS RP With Nick Page appeared first on Master Photography Podcast. The post Flash Shutter Sync With Levi Sim appeared first on Master Photography Podcast. The post Best Value Tripods 2019 appeared first on Master Photography Podcast. The post Lies From Camera Companies appeared first on Master Photography Podcast. The post Instagram For Photographers In 2019 appeared first on Master Photography Podcast. The post Keeper Rate, Pricing, Bookkeeping, and Gels for Softboxes appeared first on Master Photography Podcast. The post Printing Revisited appeared first on Master Photography Podcast. Jeff and Greg Benz talk through the why, what, and how of RAID for photographers. Check out the full show notes over at phototacopodcast.com. The post Photographer’s Guide to RAID appeared first on Master Photography Podcast. The post Best 9 and Portfolios with Levi Sim appeared first on Master Photography Podcast. The post Photography Goals and Predictions for 2019 appeared first on Master Photography Podcast. The post Photographer’s Holiday Gift Guide 2019 appeared first on Master Photography Podcast. The post How to Get Started With Printing Photos appeared first on Master Photography Podcast. The post Portrait Session – Newborn Photography: A Specialty for Serious Business Owners appeared first on Master Photography Podcast. The post Large Group Lighting appeared first on Master Photography Podcast. The post Simple Ways to Improve a Portrait appeared first on Master Photography Podcast. The post 6 Common Lighting Mistakes appeared first on Master Photography Podcast. The post Holiday Photo Tips and Flickr Changes appeared first on Master Photography Podcast. The post Latitude: Adventures with the PhotogAdventures Guys appeared first on Master Photography Podcast. The post Call-in Show: Listeners Join with their questions appeared first on Master Photography Podcast. The post Personal Projects to push creativity and learning appeared first on Master Photography Podcast. The post Reflector v Flash, Oct 2018 Adobe Updates, Shooting Basketball appeared first on Master Photography Podcast. The post What Is the Exposure “Quadrangle”? appeared first on Master Photography Podcast. The post How to Get Good Exposure Indoors With a Flash appeared first on Master Photography Podcast. The post Ultimate Guide to Digitizing Prints and Negatives (Photo Taco) appeared first on Master Photography Podcast. The post Listener Q&A: Business Plans, Print Mediums, Flash Workflow, Posing Technique, and More appeared first on Master Photography Podcast. The post ETTR Uses and Technique appeared first on Master Photography Podcast. The post Red Hydrogen and White Balance with Don Komarechka appeared first on Master Photography Podcast. The post Canon EOS R System in-depth appeared first on Master Photography Podcast. The post Let’s Talk About Specialties in Portrait Photography – Portrait Session Season 2 Episode 1 appeared first on Master Photography Podcast. The post Reaction to Nikon Full Frame Mirrorless appeared first on Master Photography Podcast. The post Off Brand Lenses, Are They Good? appeared first on Master Photography Podcast. The post Latitude: Photo Bags call-in show part 1 appeared first on Master Photography Podcast. The post What We Want in Mirrorless and 5 Signs You’re Progressing appeared first on Master Photography Podcast. The post Lightroom Selection and Adjustment Syncing appeared first on Master Photography Podcast. The post Camera Bans, Shooting the Football Hall of Fame, and Prime Lens Selection appeared first on Master Photography Podcast. The post How To Headshots and Light Paint Portraits appeared first on Master Photography Podcast. The post Guilin Photography Tours with Mia Beales appeared first on Master Photography Podcast. The post 2018 MacBook Pro Update, Mobile Backup, and Ps on iPad appeared first on Master Photography Podcast. The post SEO and Building an Organic Web Presence for Your Business – Portrait Session S01 Ep09 appeared first on Master Photography Podcast. The post Mid-2018 MacBook Pro Refresh, Handheld Focus Stacking, and Advanced Workshop Attendees appeared first on Master Photography Podcast. The post Larger formats with Stevan Tontic appeared first on Master Photography Podcast. The post Conferences, Reenactments, and NVIDIA appeared first on Master Photography Podcast. The post Lightroom Computer 2018 – Photo Taco appeared first on Master Photography Podcast. The post MagBox and Disturbing Fair Use appeared first on Master Photography Podcast. The post Latitude-Palouse with Brian Pex appeared first on Master Photography Podcast. The post Two big announcements from Brent and Exposure Blending appeared first on Master Photography Podcast. The post PORTFOLIO BUILDING AND CULLING THE RIGHT WAY – S01 EP05 appeared first on Master Photography Podcast. The post Lightroom Updates June 2018 and a World Cup Inspired “How I Got The Shot” appeared first on Master Photography Podcast. The post The Fast & The Furious appeared first on Master Photography Podcast. The post XMP Explained! (Photo Taco) appeared first on Master Photography Podcast. The post 3 Point Lighting Explained! appeared first on Master Photography Podcast. The post Redwoods (Latitude) appeared first on Master Photography Podcast. The post $60K Stolen Photo Settlement! appeared first on Master Photography Podcast. The post The Steps You Should Take to Turn Your Hobby Into a Business – PS appeared first on Master Photography Podcast. The post Listener Q&A with Levi Sim appeared first on Master Photography Podcast. The post Latitude: Leave No Trace and Gear Giveaway appeared first on Master Photography Podcast. Catching Up With THE Nick Page! The post Catching Up With THE Nick Page! appeared first on Master Photography Podcast. The post Paid Photography Is Dead appeared first on Master Photography Podcast. Brent talks about the Whitman Mission, a great place to go and shoot and the different parts of the park, the seasons and how he keeps going back for more and more. This is one of the great places that he just never seem to tire of. The post Latitude: Whitman – Incredible, Never Tiring Landscape Subject appeared first on Master Photography Podcast. The post Saving Astrophotography in National Parks appeared first on Master Photography Podcast. BIG Podcast Network Announcement and What the Hosts Are Doing! The post BIG Podcast Network Announcement and What the Hosts Are Doing! appeared first on Master Photography Podcast. The post Reflections: What Makes THE Most Difference For Beginners and Photography appeared first on Master Photography Podcast. The post Latitude: Brian Leaving, Insane Efforts, Brent’s Workshops appeared first on Master Photography Podcast. The post Photo Taco: Lightroom Embedded Preview Workflow appeared first on Master Photography Podcast. The post Shooting For Free And Tax Tips appeared first on Master Photography Podcast. Jim Harmer talks about how going back to the basics and shooting at night can really help a photographer to improve. The post Tripod: Back to Basics – Night Photography appeared first on Master Photography Podcast. Jeff talks with Jim and Brent about the top 3 things that each took from the 2018 Create Photography Retreat. You can sign up for the Create Photography Retreat that will be in Las Vegas in March of 2019 at https://createphotographyretreat.com. The post Top 3 Things Taken From Create Photography Retreat appeared first on Master Photography Podcast. The post Portrait Session: Review of the Create Photography Retreat appeared first on Master Photography Podcast. The post Latitude: Spring Break and Recent Deals appeared first on Master Photography Podcast. The post Jeff’s Mini Review Of Sony A7R3 appeared first on Master Photography Podcast. The post Photo Taco: SAU And Memory Card Hygiene appeared first on Master Photography Podcast. The post Beginners Guide To Flash appeared first on Master Photography Podcast. The post End Goal And Paid Work appeared first on Master Photography Podcast. The post Portrait Session: 5 Ways to Improve Portraits In 30 Days appeared first on Master Photography Podcast. The post Latitude: Coos Bay, Santorini Greece, Create Photography Retreat appeared first on Master Photography Podcast. The post Photographing Water and Planning Photo Trips appeared first on Master Photography Podcast. The post Hard Drive Storage Talk appeared first on Master Photography Podcast. The post Photo Taco: Lr Classic CC 7.1 With THE Lightroom Queen appeared first on Master Photography Podcast. The post Photo Taco: DPI With Don Komarechka appeared first on Master Photography Podcast. The post Listener Spotlight – Eric Fortman (Biologist Photographer) appeared first on Master Photography Podcast. The post Listener Spotlight: Natalie Greenroyd (365 Projects) appeared first on Master Photography Podcast. The post Latitude: Travel Bags, Releases of Landmarks, 2018 Goals appeared first on Master Photography Podcast. The post Portrait Session: Underwater Photography appeared first on Master Photography Podcast. The post KodakOne/KodakCoin and 2018 Predictions appeared first on Master Photography Podcast. The post Photo Taco: Lr Classic CC 7.1 Update and Composite Portraits appeared first on Master Photography Podcast. The post Roundtable  appeared first on Master Photography Podcast. The post Portrait Session: 2017 Reflections and 2018 Goals appeared first on Master Photography Podcast. The post Listener Spotlight: Chris Wesley (Photos to Paintings) appeared first on Master Photography Podcast. The post Latitude: Interviews with LensBaby Founder and MySunset App Creator appeared first on Master Photography Podcast. The post Tripod: Lumenzia appeared first on Master Photography Podcast. The post Photo Taco: Holiday Gift Guide 2017 appeared first on Master Photography Podcast. The post 12 Lies Told To New Photographers and Flexible Planning appeared first on Master Photography Podcast. The post Portrait Session: Facebook Q&A appeared first on Master Photography Podcast. The post Photo Taco: Photography Steal 2017 appeared first on Master Photography Podcast. The post Dealing With Rejection and 5 Unconventional Landscape Tips appeared first on Master Photography Podcast. The post Latitude: Welcome Back From Norway appeared first on Master Photography Podcast. Photo Taco: Is Lightroom CC Classic? The post Photo Taco: Is Lightroom CC Classic? appeared first on Master Photography Podcast. The post Lightroom, Alternatives, and Mobile Workflows appeared first on Master Photography Podcast. The post Tripod: Lightpainting appeared first on Master Photography Podcast. The post Best Of The Roundtable appeared first on Master Photography Podcast. The post Sony A7R3 and Lr Classic CC Improvements appeared first on Master Photography Podcast. The post Portrait Session: Strobe & Speedlight Modifiers appeared first on Master Photography Podcast. The post 13 Sure-Fire Timelapse Tips and Taking Photos Nobody Else Has appeared first on Master Photography Podcast. The post Latitude: Croatia, Sigma 14mm 1.8, Scratch That Itch appeared first on Master Photography Podcast. The post HEIF Format (New With iPhone) appeared first on Master Photography Podcast. The post Photo Taco: Inexpensive Flash appeared first on Master Photography Podcast. The post Tripod: State of the Landscape Photography Industry appeared first on Master Photography Podcast. The post Learn Composition, Color, True to Life Subjects From Masters appeared first on Master Photography Podcast. The post Portrait Session: Pre-Production Tips for Styled Shoots appeared first on Master Photography Podcast. The post IP Roundtable (EP – 243) appeared first on Master Photography Podcast. The post Latitude  appeared first on Master Photography Podcast. The post Photo Taco: Cloud Backup appeared first on Master Photography Podcast. The post Tripod: Muscle Memory appeared first on Master Photography Podcast. The post 10 Tips For Better Landscapes and Dark Side of Starting a Photo Business appeared first on Master Photography Podcast. The post Portrait Session  appeared first on Master Photography Podcast. The post Photo Gear Do’s and Dont’s appeared first on Master Photography Podcast. The post Model Releases and Listener Questions appeared first on Master Photography Podcast. The post Photo Taco: How I Got the Shot (HIGTS) at Millers Park appeared first on Master Photography Podcast. The post Solar Eclipse and Listener Questions appeared first on Master Photography Podcast. The post Tripod: Weekend Warrior appeared first on Master Photography Podcast. The post Latitude: Photo Releases and TSA Screening appeared first on Master Photography Podcast. The post AFMA Revisited appeared first on Master Photography Podcast. The post Portrait Session: Advice to Our Younger Photography Selves appeared first on Master Photography Podcast. The post RGPS App Announcement appeared first on Master Photography Podcast. The post Latitude: Doug Kaye and Traveling to Cuba appeared first on Master Photography Podcast. The post Ten Most Inspiring Photos of All Time and Listener Q&A appeared first on Master Photography Podcast. The post Photo Taco: Photographic Dynamic Range appeared first on Master Photography Podcast. The post IP Roundtable (EP – 233) appeared first on Master Photography Podcast. The post Tripod appeared first on Master Photography Podcast. The post IP Roundtable (EP – 232) appeared first on Master Photography Podcast. The post Portrait Session (EP – 100) appeared first on Master Photography Podcast. The post Ip231 appeared first on Master Photography Podcast. The post IP Roundtable (EP – 230) appeared first on Master Photography Podcast. The post IP Roundtable (EP – 229) appeared first on Master Photography Podcast. The post IP Roundtable (EP – 227) appeared first on Master Photography Podcast. The post IP Roundtable (EP – 226) appeared first on Master Photography Podcast. The post IP Roundtable (EP – 225) appeared first on Master Photography Podcast. The post IP Roundtable (EP – 224) appeared first on Master Photography Podcast. The post IP Roundtable (EP – 223) appeared first on Master Photography Podcast. The post IP Roundtable (EP – 222) appeared first on Master Photography Podcast. The post IP Roundtable (EP – 221) appeared first on Master Photography Podcast. The post IP Roundtable EP – 220 appeared first on Master Photography Podcast. The post IP Roundtable (EP – 219) appeared first on Master Photography Podcast. The post IP Roundtable (EP – 218) appeared first on Master Photography Podcast. The post IP Roundtable (EP – 217) appeared first on Master Photography Podcast. The post IP Roundtable EP – 216 appeared first on Master Photography Podcast. The post IP Roundtable (EP – 215) appeared first on Master Photography Podcast. The post IP Roundtable Ep – 214 appeared first on Master Photography Podcast. The post IP Roundtable EP – 213 appeared first on Master Photography Podcast. The post IP Roundtable (EP – 212) appeared first on Master Photography Podcast. The post IP Roundtable EP – 211 appeared first on Master Photography Podcast. The post IP Roundtable (EP – 210) appeared first on Master Photography Podcast. The post IP Roundtable Ep209 appeared first on Master Photography Podcast. The post IP Roundtable (EP – 208) appeared first on Master Photography Podcast. The post IP Roundtable (ep – 207) appeared first on Master Photography Podcast. The post IP Roundtable EP – 206 appeared first on Master Photography Podcast. The post IP Roundtable EP – 205 appeared first on Master Photography Podcast. The post IP Roundtable EP – 204 appeared first on Master Photography Podcast. The post IP Roundtable EP – 203 appeared first on Master Photography Podcast. The post IP Roundtable Ep202 appeared first on Master Photography Podcast. The post IP Roundtable EP – 201 appeared first on Master Photography Podcast. The post IP Roundtable EP200 appeared first on Master Photography Podcast. The post IP Podcast Ep 199 appeared first on Master Photography Podcast. The post IP Roundtable Ep198 appeared first on Master Photography Podcast. The post IP Roundtable (EP – 197) appeared first on Master Photography Podcast. The post IP Roundtable (EP – 196) appeared first on Master Photography Podcast. The post IP Episode 195 appeared first on Master Photography Podcast. The post IP Roundtable (EP – 194) appeared first on Master Photography Podcast. The post IP Roundtable Ep193 appeared first on Master Photography Podcast. The post IP Podcast Ep 192 appeared first on Master Photography Podcast. The post IP Roundtable EP – 191 appeared first on Master Photography Podcast. The post IP Roundtable (EP – 190) appeared first on Master Photography Podcast. The post IP Roundtable EP – 189 appeared first on Master Photography Podcast. The post IP Roundtable EP 188 appeared first on Master Photography Podcast. The post IP Roundtable EP – 187 appeared first on Master Photography Podcast. The post IP Podcast Ep 186 appeared first on Master Photography Podcast. The post IP Roundtable EP – 185 appeared first on Master Photography Podcast. The post IP Roundtable EP – 184 appeared first on Master Photography Podcast. The post IP Episode 183 appeared first on Master Photography Podcast. The post IP Roundtable EP – 182 appeared first on Master Photography Podcast. The post IP Podcast (EP – 181) appeared first on Master Photography Podcast. The post IP Roundtable EP – 180 appeared first on Master Photography Podcast. The post IP Episode 178 appeared first on Master Photography Podcast. The post IP Episode 177 (1) appeared first on Master Photography Podcast. The post IP Roundtable EP 176 appeared first on Master Photography Podcast. The post IP EP – 175 appeared first on Master Photography Podcast. The post IP 174 Mixdown appeared first on Master Photography Podcast. The post IP Podcast Ep 173 appeared first on Master Photography Podcast. The post IP Podcast Ep 172 appeared first on Master Photography Podcast. The post IP Podcast Ep 170 appeared first on Master Photography Podcast. The post I69 Mixdown appeared first on Master Photography Podcast. The post IP Podcast Ep 168 appeared first on Master Photography Podcast. The post IP Podcast Ep 167 appeared first on Master Photography Podcast. The post IP Podcast Ep 166 appeared first on Master Photography Podcast. The post IP Podcast Ep 165 appeared first on Master Photography Podcast. The post IP Podcast Ep 164 appeared first on Master Photography Podcast. The post IP Podcast Ep 163 appeared first on Master Photography Podcast. The post Ip162 appeared first on Master Photography Podcast. The post IP Podcast Ep 161 appeared first on Master Photography Podcast. The post IP Podcast Ep 160 appeared first on Master Photography Podcast. The post IP Podcast Ep 159 appeared first on Master Photography Podcast. The post IP Podcast Ep 158 appeared first on Master Photography Podcast. The post IP Podcast Ep 157 appeared first on Master Photography Podcast. The post New Cameras And Storage Woes appeared first on Master Photography Podcast. The post Be A Better Photographer In 2016 appeared first on Master Photography Podcast. The post Lenses For Portrait Photography appeared first on Master Photography Podcast. The post Photography Tips And Tricks appeared first on Master Photography Podcast. The post 100% Photography Q&A appeared first on Master Photography Podcast. Jim, Nick, & Darin gather to nerd out over the best gear created to date. The three also give you a sneak preview of Jeff’ Harmon’s 2015 Improve Photography Holiday Gift Guide. The post 2015 Gear Of The Year appeared first on Master Photography Podcast. Jim sits down for a solo show reflecting on post-processing tips & techniques he has learned in 2015. Find out if his hands on experience with the iPad Pro has sold him on this massive product. The post 8 New Post – Processing Tips appeared first on Master Photography Podcast. The post Nick Calls Out Jim for a Night Photo Battle appeared first on Master Photography Podcast. 20 Tips For An Incredible Desert Adventure! Jim, Brian, Nick, & Darin take you on an incredible adventure remembering lessons learned while shooting with listeners of Improve Photography. The four share twenty plus tips & tricks they learned while shooting in Southern Utah & Northern Arizona. Tune into hear about IP smashing a Guinness World Record! The post 20 Tips For An Incredible Desert Adventure! appeared first on Master Photography Podcast. Jim, Darin, & Nick sit down to nerd out about new gear. Darin does his first Commercial Photography shoot & offers some insight into this genre of photography. The three leave you with three Doodads of the Week as always! The post Shooting W Sony & Printing W Canon appeared first on Master Photography Podcast. Are Canon & Nikon In Trouble? Jim, Nick, Darin, & Jeff gather to predict the Canon & Nikon’s fate. Nick tells the tale of shooting his first NFL game with Brian McGuckin. Darin discussed importance of timelapse while Jeff announces it is almost safe to upgrade to to Windows 10 or El Capitan. The post Are Canon & Nikon In Trouble? appeared first on Master Photography Podcast. Jim, Nick, Jeff, & Darin join you this week to discuss what photographers need to look for when buying a PC/Mac for your photography business. The three also explore emerging technologies & setting your photography business up for success. The post Computers & Contracts appeared first on Master Photography Podcast. Jim, Nick, Jeff, & Darin sit down for a cautionary tale about Lightroom 6.2/CC2015.2. Darin waltzes into a mountain lake for a shot. Jim shares the legalities of photographing subjects with tattoos. Nick takes us home with the concept of shooting bracketed shots in Portrait Photography. Tune in for this week’s Doodads! The post Wait To Update! – New Lightroom Update Rejected appeared first on Master Photography Podcast. Jim, Nick, & Darin conquer more of your questions in this third Q&A installment of the podcast. As always we include Doodads of the week to help you Improve your Photography skills! The post HUGE Listener Q&A III – The Final Chapter appeared first on Master Photography Podcast. Jim, Jeff, & Majeed tackle more listener questions we were not able to get to last week! Majeed is joining us from a new Nature & Landscape Photography Podcast coming to the Improve Photography Network soon! The post HUGE Listener Q&A Part II appeared first on Master Photography Podcast. Jim, Nick & Darin field questions from our most loyal listeners. The three go through a ton of questions this week & will tackle more next week! Tune in now for great photography tips & tricks! The post HUGE Listener Q&A Part I appeared first on Master Photography Podcast. The post #WeddingPhotoGate appeared first on Master Photography Podcast. Getting Ready For Fall Color! Jim, Nick, & Jeff collaborate to get you ready for shooting the seasonal colors coming to the Northern Hemisphere soon! Jeff updates us on Windows 10 & the group helps a reader find the best mirrorless cameras under $1K! The post Getting Ready For Fall Color! appeared first on Master Photography Podcast. Darin sits down with Nick & Brian to answer questions from listeners of the podcast ranging from beginner to advanced. Nick & Darin get nerdy while Brian attempts to keep them grounded. The three tackle the benefits of online galleries & replacing the sky in Photoshop. The post PASS’ing The Test! appeared first on Master Photography Podcast. Jim chats with Jeff, Darin, & Nick about Nick Page’s adventure in the pit shooting Mumford & Sons, the Flaming Lips, & the Foo Fighters! The four also aid a Nikon shooter torn between the D750 to the D7200 for Portrait & Sports Photography. Tune in for our exciting Round Robin Segments where a ton of topics are covered! The post A Concerted Effort – Concert Photography appeared first on Master Photography Podcast.